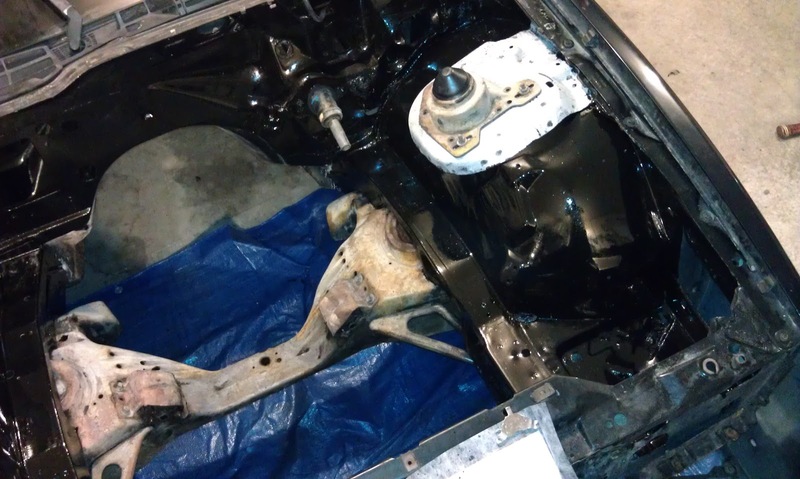 We had one leftover can of partially used black POR-15 from when we painted the interior and t-tops. Jonathan unsealed the can and it was fine. 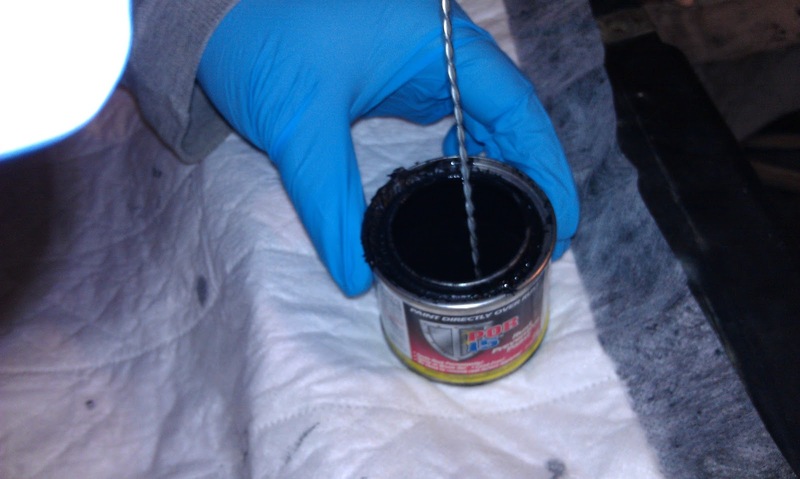 He used one of our fabulous dauber stirring sticks and stirred the paint for quite a while to make sure it was completely mixed. 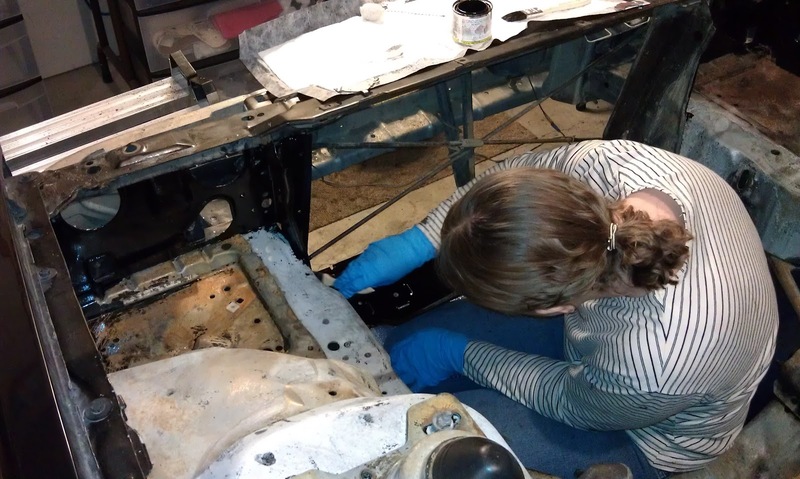 I climbed inside the engine bay and got to work. I pulled my hair back today. This is important to remember to do when you paint with POR-15. POR-15 is quite permanent and once it is in your hair it is impossible to get out. Jonathan got some on his hair last time so we know. :) It also stains your skin if you do not remove it quick enough. I had some bleed through my jeans today and now I have a lovely light black mark on my leg. Gojo wipes work really well to remove POR-15, as long as you do not let it dry too long. Unfortunately I did not know about my leg until we were done, so it was basically dry. 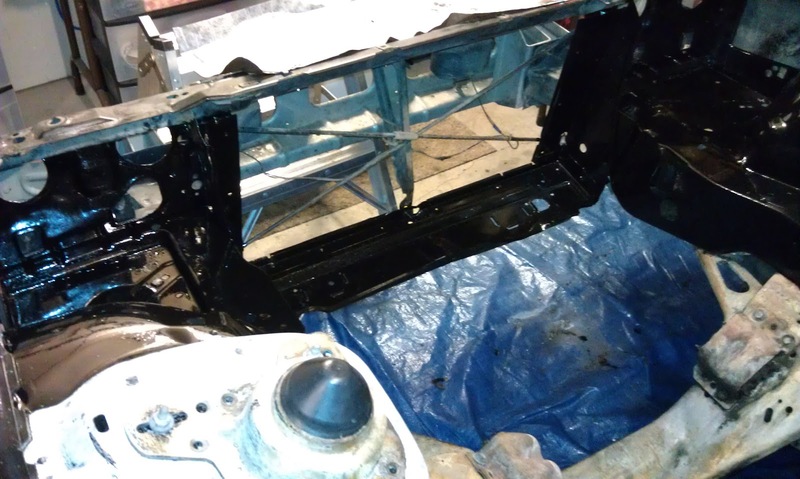 Here are pictures of the engine bay with the first coat of POR-15. 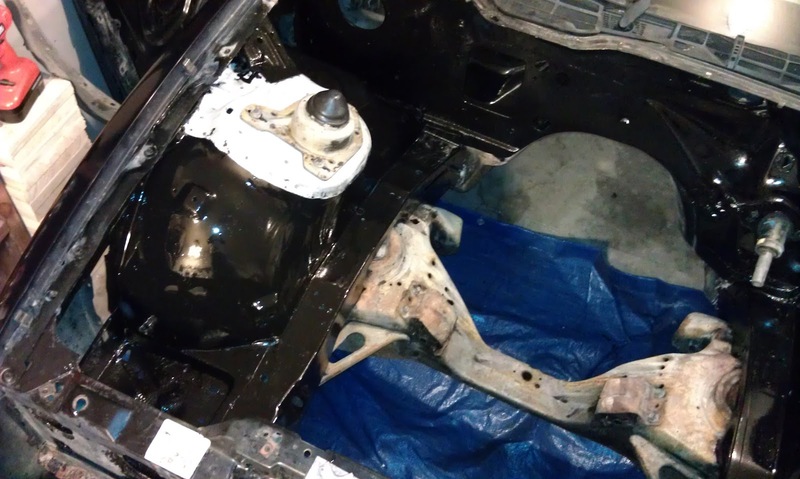 We decided to paint the engine bay in sections because much of the underbody in this section still needs to be cleaned and degreased. 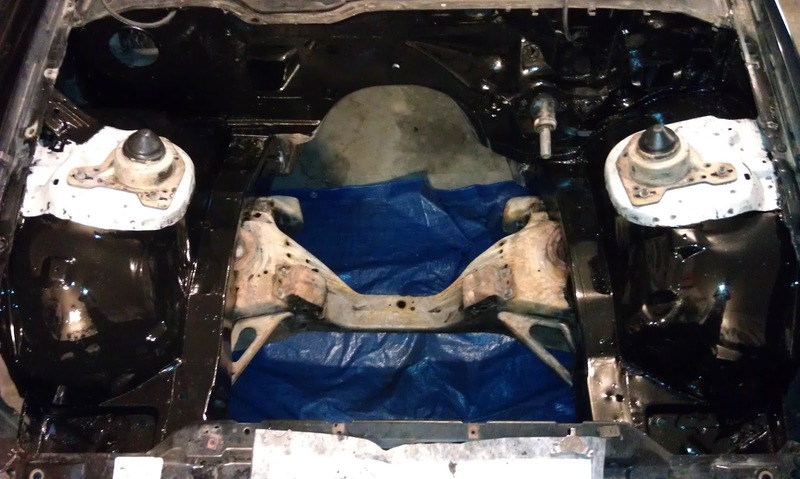 I painted from the inside of the engine bay and Jonathan painted from the outside. He also held the light. While the POR-15 dries we are going to watch the Closing Ceremony of the London Olympics.